Ah, gold. Symbol of first place; representation of power; a token of entry to one fictitious chocolate factory. There’s no doubt about it; gold is bold particularly when used to create watches. The tonal choice for tanned skin, gold is reminiscent of summer all year round. Done right and it’s the perfect statement piece for any occasion. Gold can, in fact, be arguably considered as the most iconic tone for watches, lending a timeless, refined edge. Gold will never get old. 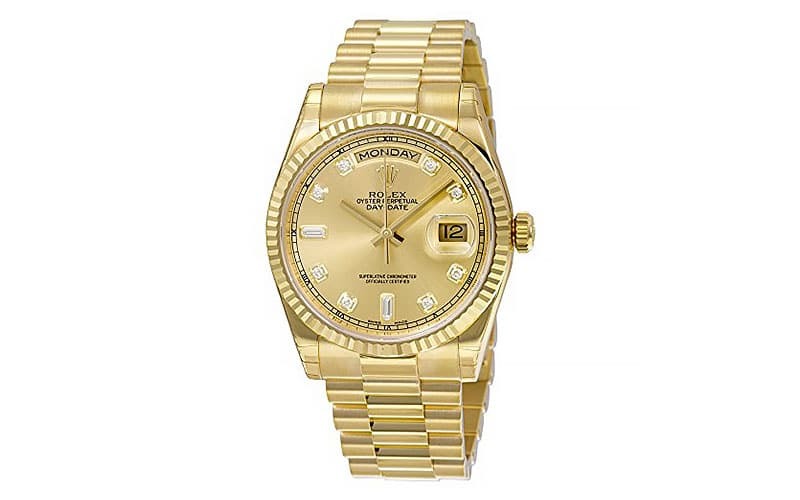 Here are the best real gold watches for men who want to add a flash of gold to every outfit. 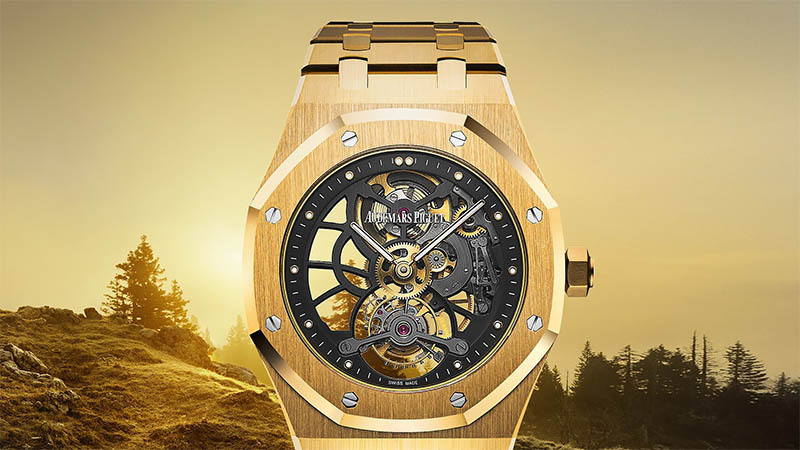 A bit different from other gold watches on the market, the Audemars Piguet Tourbillon Extra model’s design is noticeable for its intricate features. Its casing is almost bionic, lending a little Star Wars reference to C-3PO. 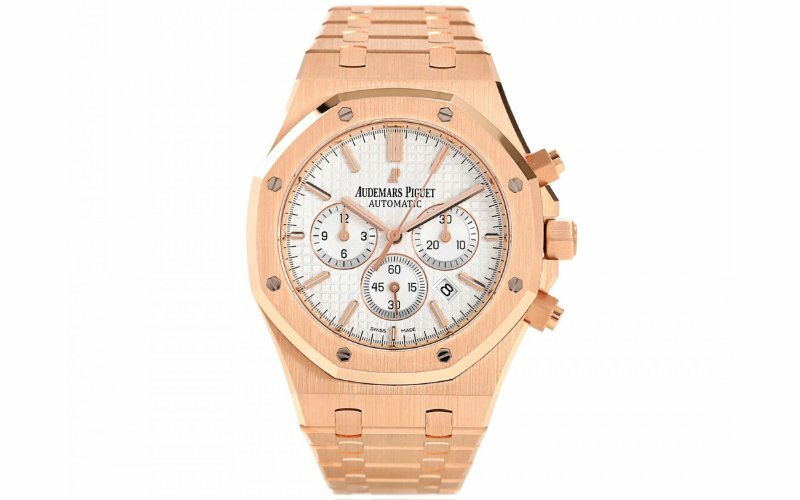 Featuring an 18-carat gold case, glare-proofed sapphire crystal and case back as well as water resistance to 20m, Audemars Piguet has sustained the precision and reliability of their brand with this timepiece. 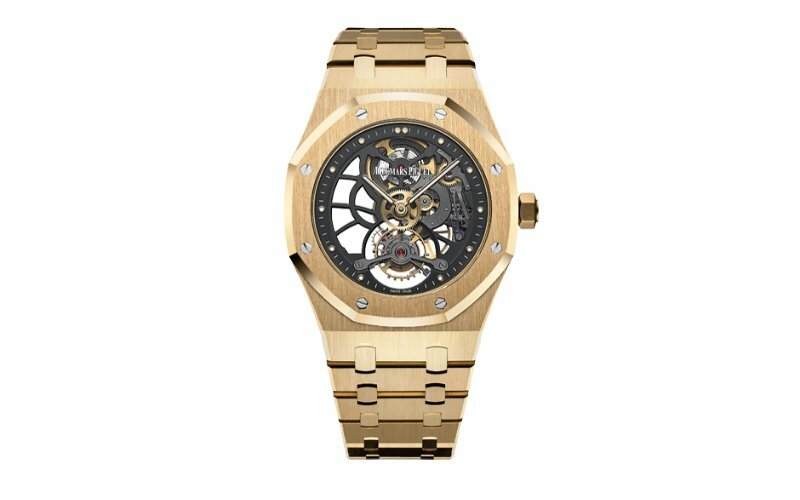 Movement with plat tourbillon, open worked movement, power reserve on the back and differential power reserve also add to Audemars Piguet’s creation’s extensive features. Silver bolts on the frame of the dial play off the gold nicely, offering more of a dimensional look. For true lovers of gold, this one is the ultimate timepiece. 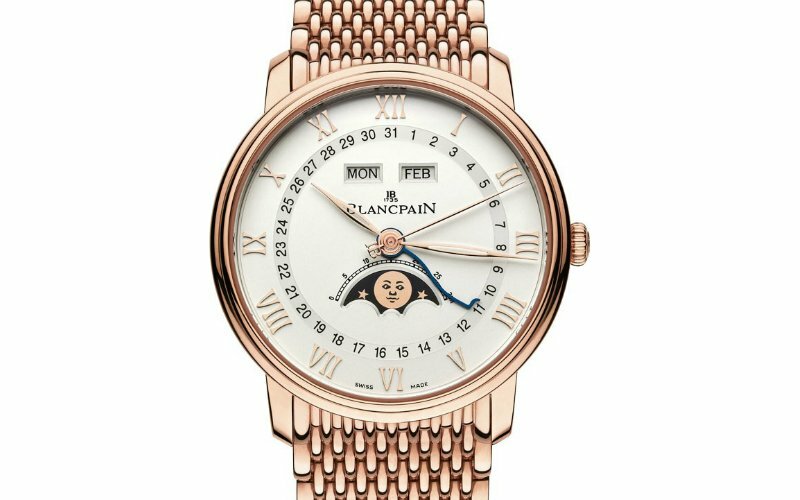 Boasting one of the most unique bands, Blancpain’s Villeret Quantieme Complet 8 Jours is not for kids. Yep, the brand is not playing around – this wrist watch has all the advantages of a classic aesthetic, but comes with some revived bells and whistles. New and improved automatic movement make this watch a standout for those who are after a model that won’t fail on quality. A complex perpetual calendar also makes this timepiece an alluring option for those who appreciate finer details and have an eye for the smallest features on a watch. The minimalism of this watch also makes it a worthy staple, and also signifies that the timepiece has the capacity to go from day to night. The numerals on this watch are one of its most unique visual features. Bold and vivid, the colour combination of black, ivory and gold works well for the Calibre De Cartier by Cartier, that is undoubtedly influenced by decades that have gone by. 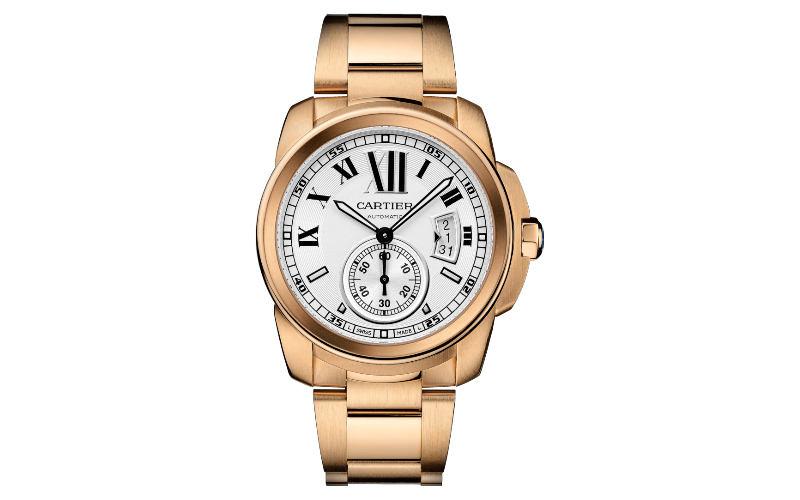 Described by the company as refined, the Calibre De Cartier is larger and is made of 18K pink gold. Uniquely styled with a masculine edge, this timepiece is perfect for dressed up attire. Recommended for nights out, the Calibre De Cartier also boasts sword-shaped hands in black oxidised steel with luminescent coating. The silvered partially snailed opaline dial is also a nice touch. The Royal Oak Chronograph by Audemars Piguet sustains the brands early 70’s aesthetic but adds playful modernity with some of its elements, particularly with its three-counter chronograph. The dial also comes in a silvery white, which is cool and classic or alternatively can be done in a pale powder blue tone for a redefined take on your wrist wear’s palette. Yellow gold applied hour-markers and Royal Oak hands with luminescent coating complete this standout timepiece. We personally recommend the Royal Oak Chronograph to gentlemen who are not afraid to stick with a more conservative model but still want something sleek and eye-catching. Available in 18-carat gold or platinum, the Oyster Perpetual Day-date 40 was the first timepiece to display the date and day/the week spelt out in full in a window on the dial. A president bracelet and the iconic Rolex logo feature in this classic watch makes it an alluring choice for lovers of the Rolex brand. This model also plays off a striped design, with its forming lines in both vertical and horizontal stripes to showcase the high-quality gold. Special mention goes out to its bronze-ish dial, which is the perfect tone to offset the bold colour featured in this timepiece. 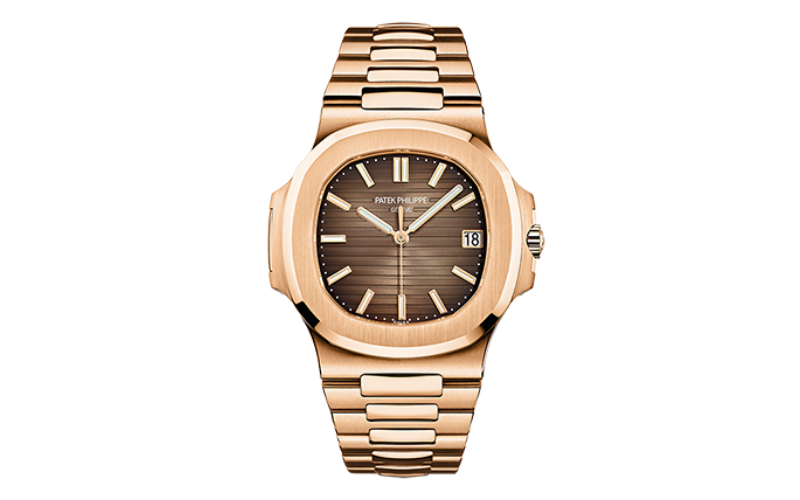 With its mechanical self-winding movement, centre sweep second hand, rose gold bracelet with nautilus fold-over clasp and water resistance to 120m, the Patek Philippe 5711/1R-001 incorporates modernity with playful elements of traditionalism. The colour combination of the 5711/1R-001 is warm-toned, mixing gold with a warm, burnt brown. Simplistic numeral indicators suit the overall design of the watch, lending a minimalist, classic vibe. A bit more delicate than our other picks, Chopard has mixed rose gold with yellow gold in the L.U.C 1937 Classic. A playful combination, the overall look of the L.U.C 1937 Classic can be described as traditional with a twist. The wristwatch also has a silver sunburst dial with applied rhodium Roman numerals and transferred minute track. 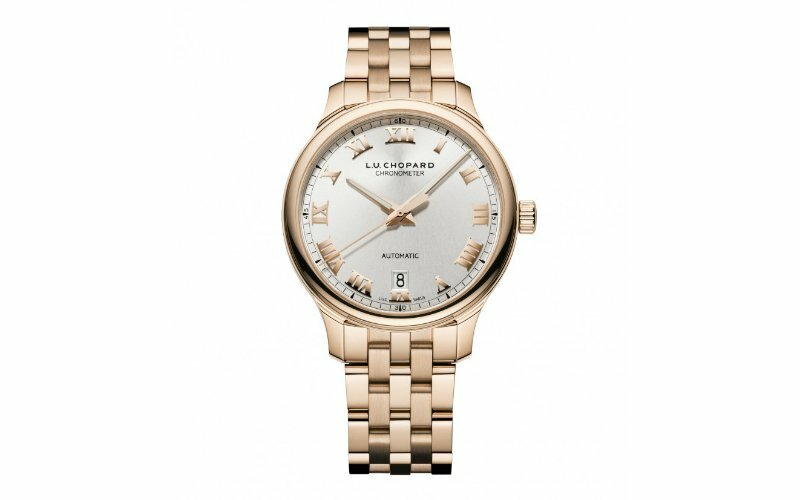 A great pick for those who are after something a little more conservative, the L.U.C 1937 Classic by Chopard is perfect as it is simple and won’t date. “Yellow gold on yellow gold” reads the description of the Omega Speedmaster 57 Co-Axial Chronograph. What’s not to love about that? Let’s also just point out that the dial of the Speedmaster is very damn appealing. Clean, classy and conservative are the three words that come to mind. 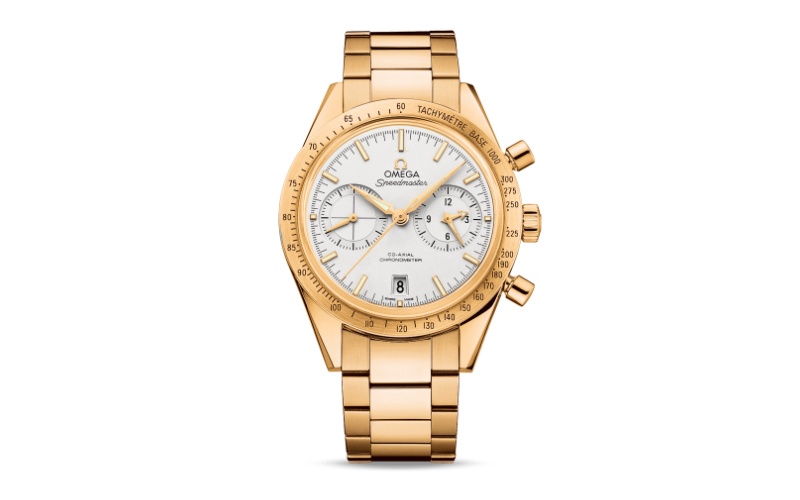 The price may be a little steep, but trust us when we say the Speedmaster is worth its weight in gold. This pick also boasts one of the most interesting designs of all our top choices, combining gold with a silver dial for a refined take on shiny wristwear. With a seconds sub-dial at 9 o’clock and a 12-hour and 60-minute chronograph recorder on the sub-dial at 3 o’clock, the Omega Speedmaster is a worthy purchase.